£3 million fish farm looks set to create six highly skilled jobs. Up to 30 jobs on Orkney are to be created following a £3million salmon farm investment announced yesterday. Scottish Sea Farms has been given the green light to breed more than 1,000 tonnes of salmon a year within 12 circular cages off Lober Rock close to St. Margaret’s Hope in Scapa Flow. The major development will create six highly-skilled positions at the farm, as well as additional jobs across the islands. Independent economic and development consultancy Imani Development estimates that every direct job created by Scottish salmon farming supports up to five further jobs indirectly across the supply chain, creating a potential 30 jobs in Orkney, which has a population of around 21,500 people. Richard Darbyshire, Scottish Sea Farms’ regional production manager, said: “This latest consent is hugely positive news. For the remote communities in which we live and work, the new farm will bring skilled jobs and training, additional business for local suppliers, and a boost to local economies in terms of increased disposable income. The Lober Rock location will be the eighth addition to the islands salmon farming estate, just two years after the creation of the new farm at Westerbister in 2016. 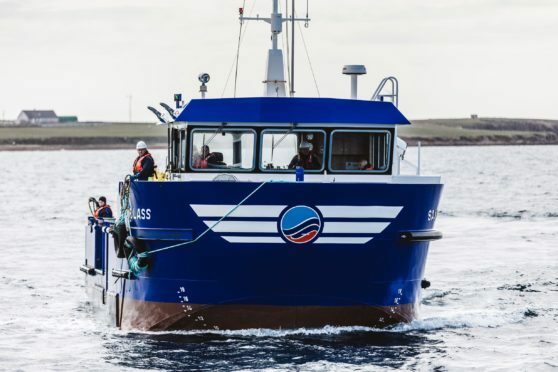 The newly expanded Scottish Sea Farms Orkney estate will now have the capacity to breed over 10,000 tonnes of salmon each year for customers in the UK and for export to over 18 different countries around the world. Councillor Andrew Drever, who represents East Mainland, South Ronaldsay and Burray, said: “Whilst welcoming the new investment and employment opportunities this development will bring to Orkney families and the wider economy, we need to ensure through monitoring and close working relationships with the developers that our pristine waters are protected for future generations.